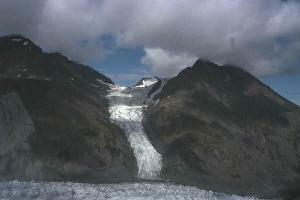 Alaska is home to more glaciers than just about anywhere else. There are so many glaciers, that many are still unnamed. 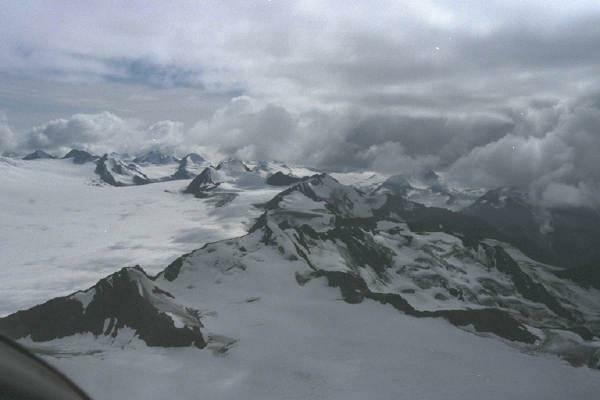 Of the estimated 100,000 glaciers in Alaska, only a little over 600 are named. 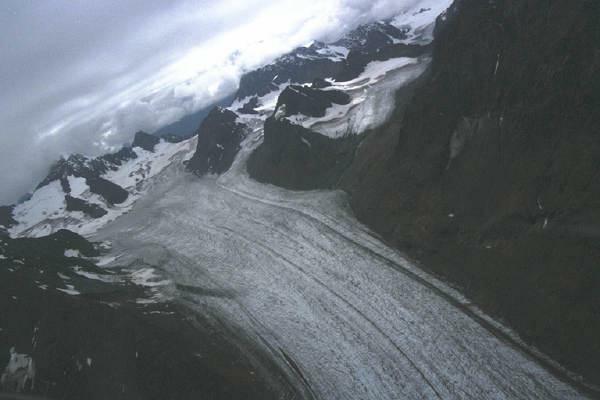 Come and enjoy some of the photos that I have taken over the years on glacier visits. 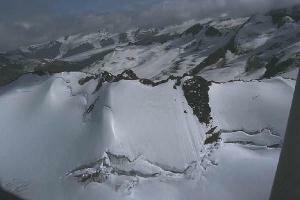 Dale Falk was the pilot on most of the aerial photo sessions. Click on the thumbnail photo to see a larger view. 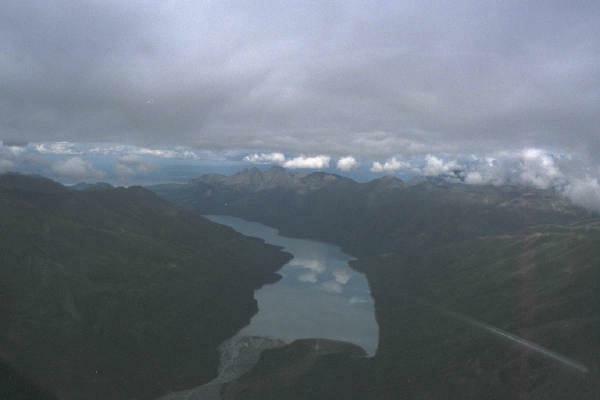 Lake Eklutna, looking west. Lower left corner of the lake shows the braided river bed of the Eklutna River that feeds the lake. Look closely at the rounded land mass to the right of the river bed and you can just make out the gravel landing strip, Bold Airstrip. Born in the snow fields high in the Chugach mountains, the glacier splits and goes around a nunatek before joining again on the downhill side. 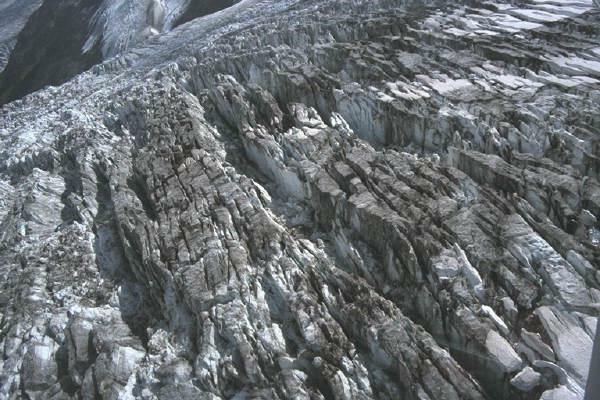 The lateral moraines from the nunatek join and form a medial moraine in the center of the glacier. 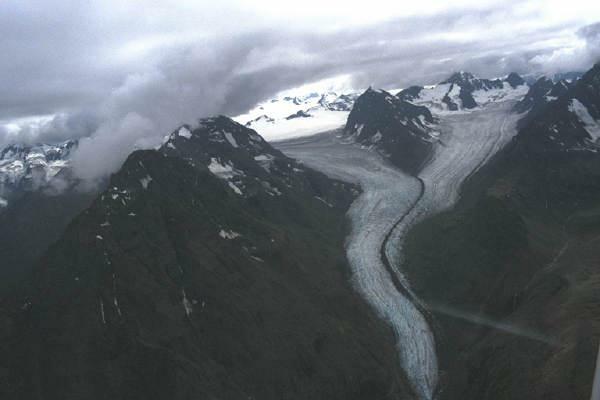 Many small glaciers merge to form a larger arm of the Eklutna Glacier Fresh snow on ancient packed snow and ice cracks when the ice moves and crevasses are formed. 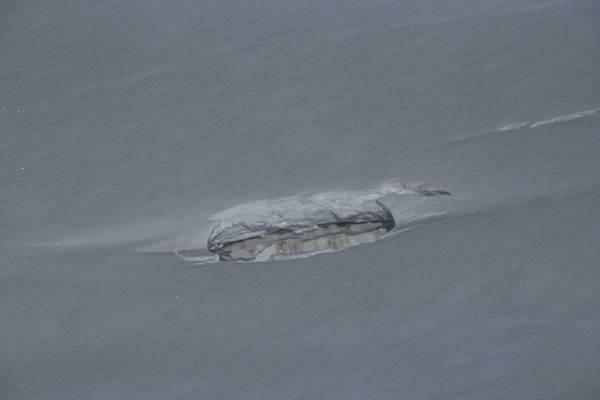 The wintertime, flat, featureless and snow covered mass of the glacier can hide many dangers such as this crevasse. 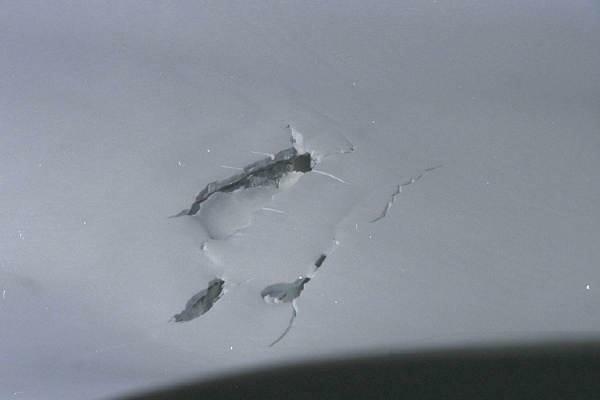 The snow bridge has fallen and we can see part of the opening below. 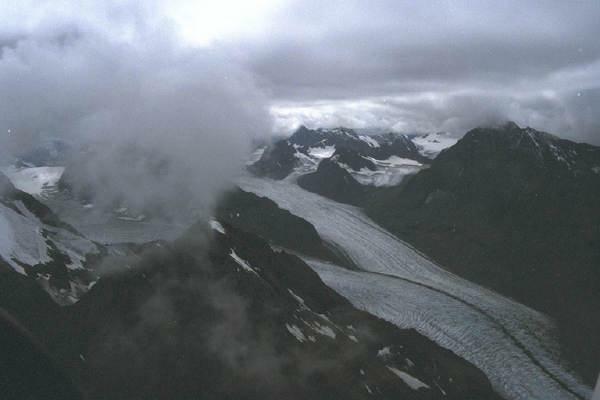 Knik Glacier. Another view of a crevasse where the covering snow bridge has collapsed exposing the depths of the crevasse. Layers of the glacier can be seen under the snow covering. Knik Glacier. 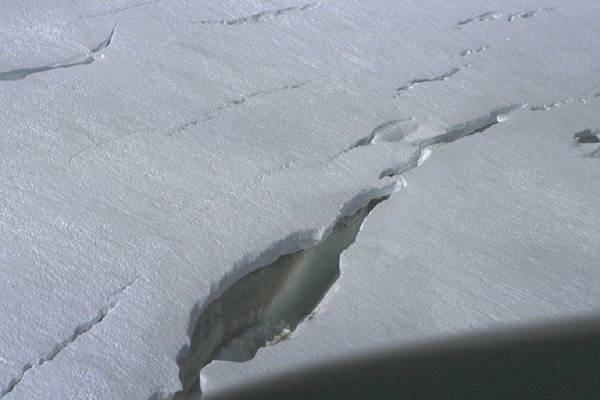 Another view of a crevasse forming as the winter snow becomes soft in the springtime sun and collapses into the depths of the crevasse. Knik Glacier. 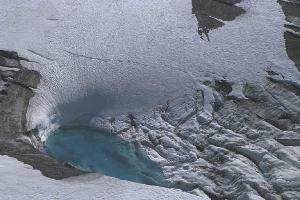 Melt water on the surface of the glacier mirrors the blue of the glacier ice below. 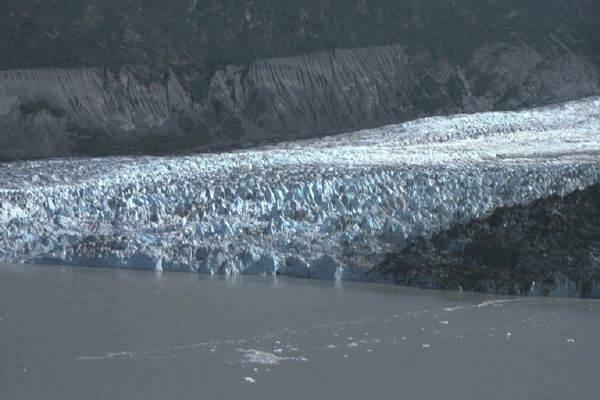 Compressed, devoid of air bubbles, glacier ice looks blue. 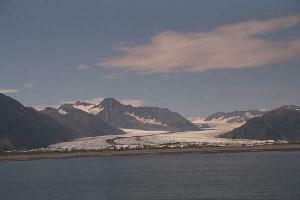 Knik Glacier. 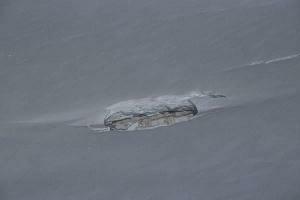 Traveling over uneven ground, the ice cleaves into plates of ice with deep crevasses between them. Glaciers look smooth from a distance but are treacherous to walk on and worse yet to land an aircraft. 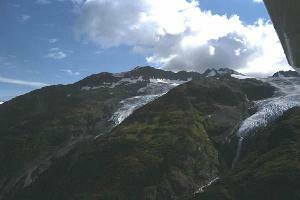 This glacier terminates in a mountain lake in the Chugach Mountains. Note the deep blue of the glacier and the cement gray of the silt laden waters that is typical of glacial streams and lakes. Unnamed tributary glacier to adds more glacial ice to the Knik Glacier More unnamed tributary glaciers joining with the Knik Glacier in the Chugach Mountains. 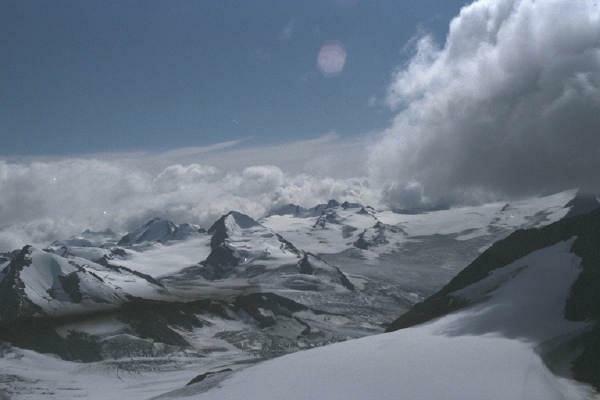 Snow fields, accumulation zones for the glaciers, high in the Chugach Mountains. 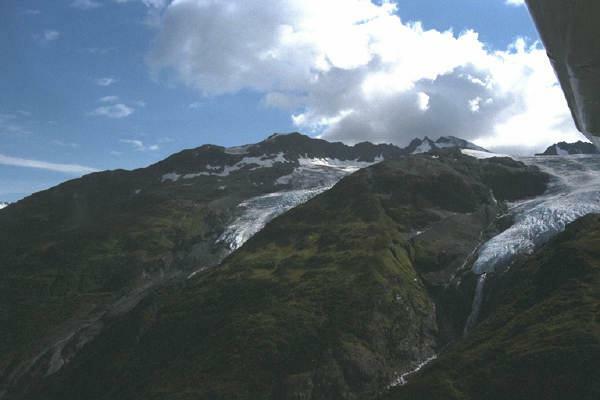 Another view of snow fields in the Chugach Mountains. Exposed mountain peaks are called nunateks.